Jim Chanos is on CNBC this morning. 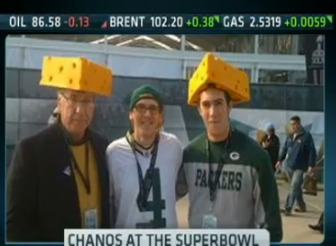 He was at The Super Bowl, and apparently he’s a big Packer fan. This is him with his two sons.